Apair of Steiff teddy bears which had to be X-rayed by a vet to check their rarity have been sold for £10,400. The rod-jointed toys named the Roosevelt Bears had been owned by one family since 1904, but “not played with much”. Auctioneers in Gloucestershire had to X-ray them to check their rare joints. 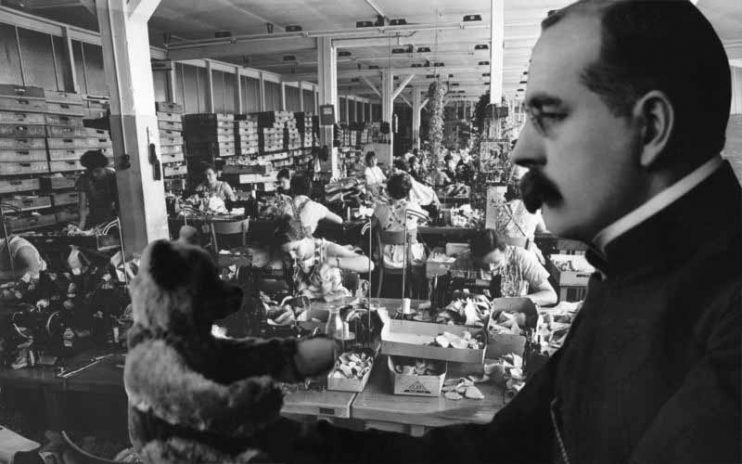 The bears were sold with an original copy of Seymour Eaton’s storybook, the Roosevelt Bears, from where they got their names. Auctioneers Dominic Winter said rod bears were rare and having a well-preserved pair at auction was “an exceptional occurrence”. In December 2015, Davidd told us the tale of The Great Teddy Bear Shipwreck Mystery. 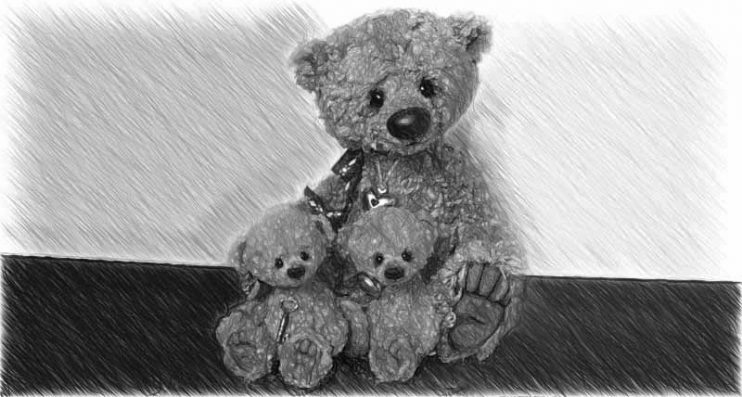 The story goes that back in 1903 some three-thousand teddy bears were sent by ship from Steiff’s factory in Germany to America only for them to disappear. The bears were made and packed up for shipment, but there is no record of them ever reaching their destination and none of the US-bound bears has ever been found. The templates, patterns and even photos of the bears exist but not even one sample was kept. One popular explanation is that there was a shipwreck and the bears had a watery end. All that is certain is that if just one of these bears turned up today it would be ‘open chequebook’ time for museums and collectors. After all, these were the first teddy bears ever made. For some time now, Razzi has been asking if we could get him a Steiff Bear as a little companion. Although he already has Pookie, I thought it might be a good idea. Because of the history of the Steiff Company, to bring one of their bears to join us here at Jammy Toast would be fantastic. After searching for a while, we discovered that the most expensive Steiff Bear ever sold was a Steiff Monaco Bear which sold for £130,190. It was dressed by Louis Vuitton and sold at a charity auction in Monaco. Razzi said he had to have one of those! Margarete Steiff was born in Giengen, Germany on 24th July 1847. Margarete was a very lively, well-built child and led a carefree life until she became ill with polio before her second birthday. She was destined never to walk and to be confined to a wheelchair for the rest of her life. Her mother, above all, found this very difficult. She would have to care for her daughter for as long as she lived. Her daughter would never be able to take on the role of housewife and mother and, at the time, it seemed as though she had absolutely no prospects for the future. Who Invented The Teddy Bear? For many years people on both sides of the Atlantic have argued over who invented the teddy bear. In Germany Steiff have long laid claim to inventing teddies while in America a couple by the name of Morris and Rose Michtom have claimed to have invented the teddy after seeing a cartoon in the Washington Post featuring President Theodore ‘Teddy’ Roosevelt hunting real bears. Upon investigation it has been proven that Margarete Steiff and the Michtoms both came up with very different designs for a teddy bear around 1902. Here at Jammy Toast we thought it was about time we did some investigating and try to prove once and for all who really did invent the teddy bear. Who Really Invented The Teddy Bear? Many rare teddy bears have gone on display in a new exhibition on the history of the cuddly bear in Hampshire. 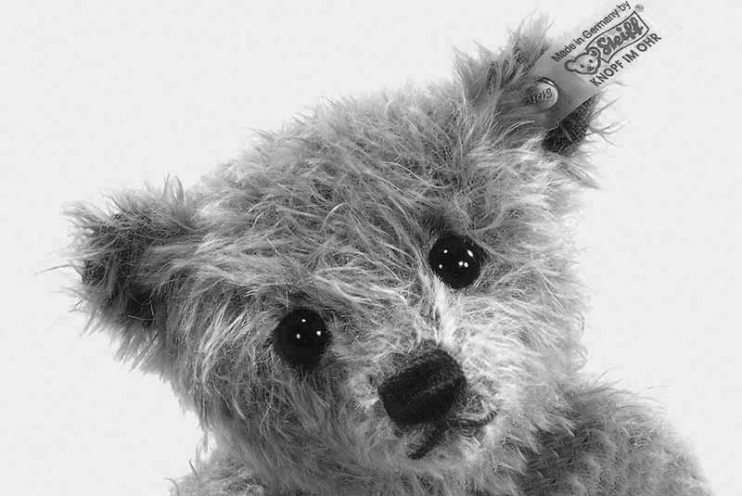 The exhibition is being held at Portsmouth City Museum and features some very early examples of teddies as well as famous bears from books, films and television. The display includes a teddy version of Shakespeare’s Globe theatre using more than fifty Steiff bears. All the bears are on loan from London’s Victoria and Albert Museum of Childhood and admission is free.